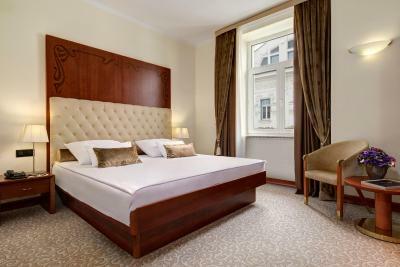 Lock in a great price for Grand Hotel Union – rated 9.1 by recent guests! The. Hotel is in a perfect location and is beautiful! The staff provided us with a box breakfast as our plane was leaving before the breakfast hours. We enjoyed everything about this hotel! Staff was very helpful, answering my messages very quickly. The room was extremely clean and comfortable and the breakfast was amazing. Location is great! 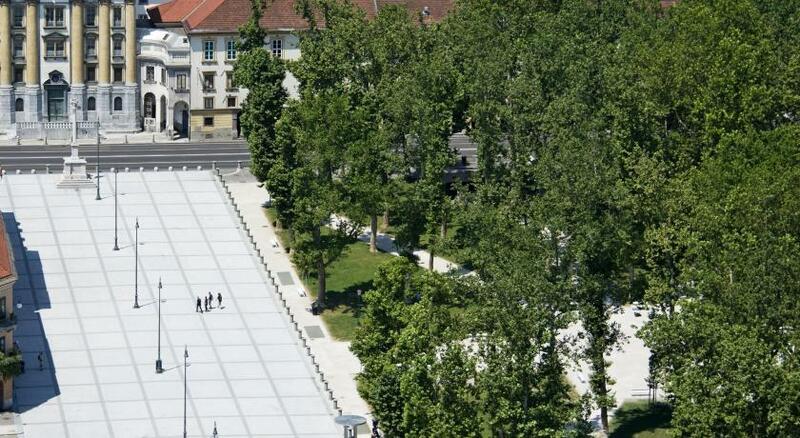 The location is great, central to the shops, restaurants, cafe, bars, & markets. You can walk from the hotel all over the city. The staff are very friendly and go above and beyond to make you feel special. The property itself is very beautiful. I would stay here again. 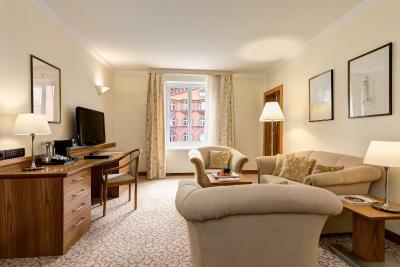 The room was cosy and clean, the whole hotel also. The staff was really polite and servile. Breakfast is good. 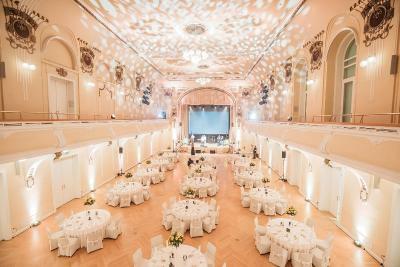 If I visit Ljubljana ones more, I'll stay in Grand Hotel Union for sure. 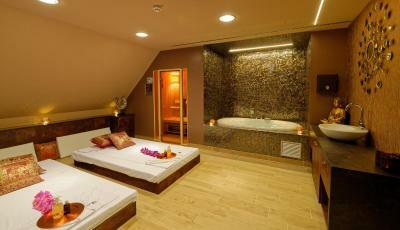 Good location, good service, good facilities, feel very comfortable. 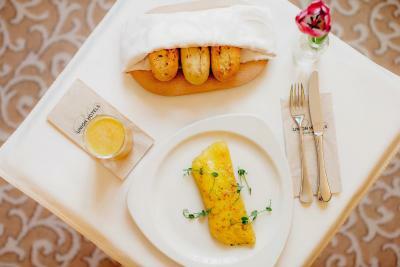 The breakfast is one of the best I have ever experienced, the quality of the food is top . The indoor swimming pool is amazing and the premises are great. Location is in the middle of the city. 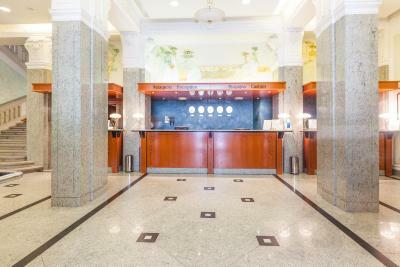 Grand Hotel Union This rating is a reflection of how the property compares to the industry standard when it comes to price, facilities and services available. It's based on a self-evaluation by the property. Use this rating to help choose your stay! 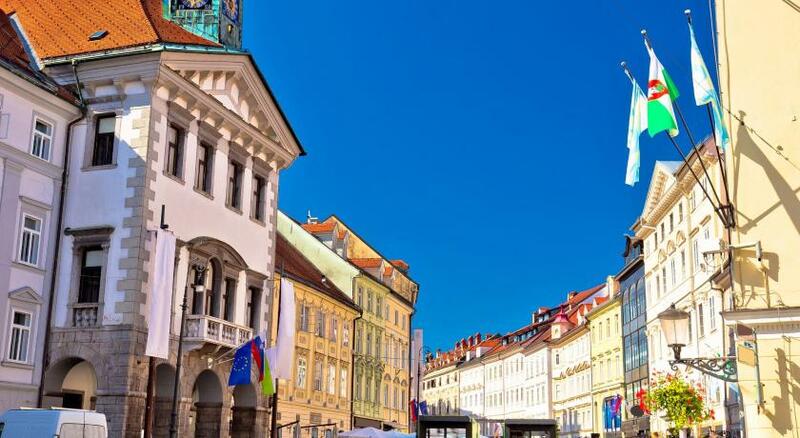 Located just steps away from the central Prešern Square and Tromostovje in Ljubljana, Grand Hotel Union offers accommodations in a historical Art Nouveau building. Free WiFi access is provided in all areas. 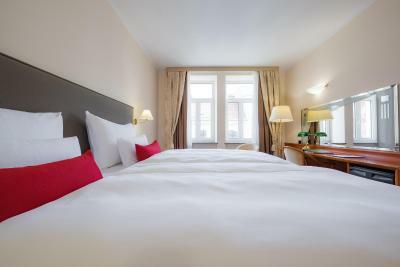 All spacious and tastefully decorated air-conditioned rooms come with a flat-screen cable TV, a mini-bar and a safe, while private bathrooms feature a bathtub, free toiletries and a hairdryer. Slippers and bathrobes are provided for your comfort. Some units also come with a seating area. All guests are welcome to enjoy the complimentary buffet breakfast. Grand Hotel Union is famous for its' Grand Union Café where guests can relax with a cup of coffee or tea accompanied by a varied offer of cakes and pastries in a historic setting. Restaurant and bar Atelje combines international and Slovene cuisine in an intimate and welcoming setting, while the Restaurant Union provides a unique dining experience in the private garden of Grand Hotel Union. 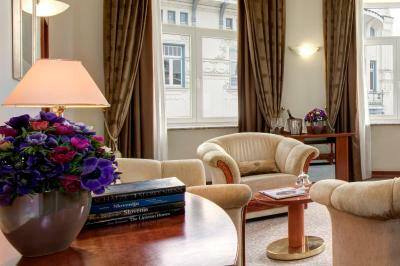 The hotel also features a wine library with a selection of Slovene wines and a casual lobby bar. 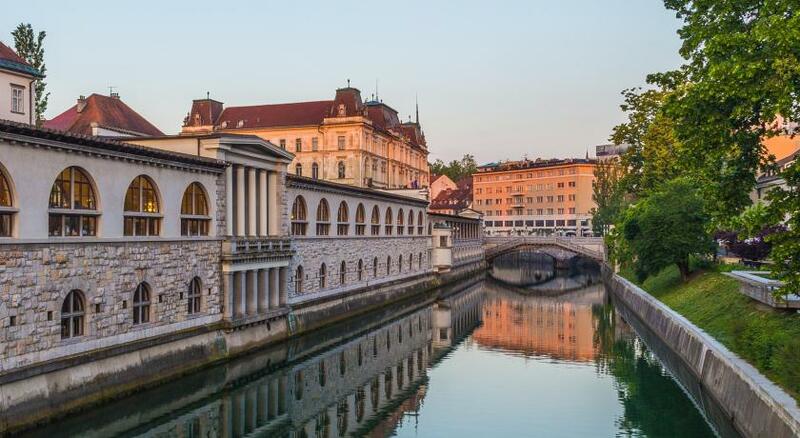 The wellness center is on the top level of Grand Hotel Union Business and features a swimming pool with views of Ljubljana Castle and saunas that can all be used free of charge. 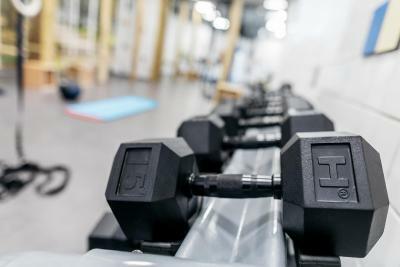 The hotel also has a 24-hour fitness center and a shopping gallery with a fashion boutique, a jewelry shop, a souvenir shop, a barber and a hairstylist. 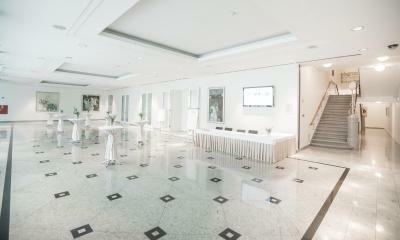 The congress center features 21 fully equipped multifunctional halls that cater to all types of events. 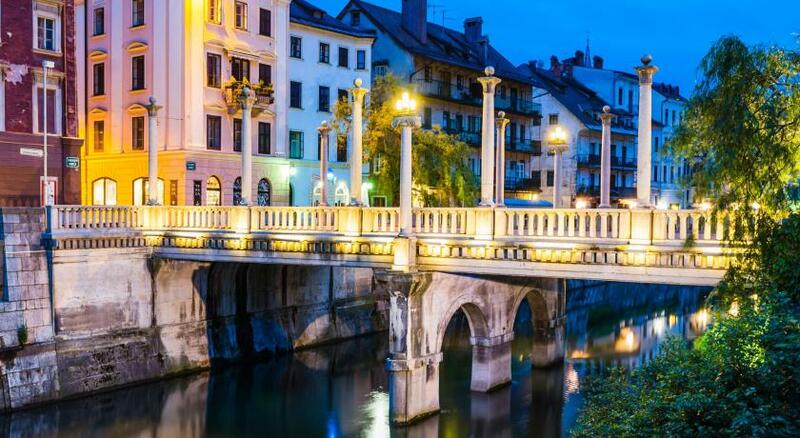 Ljubljana Old Town can be reached in 591 feet, while the Ljubljanica River Promenade is just 350 feet away. 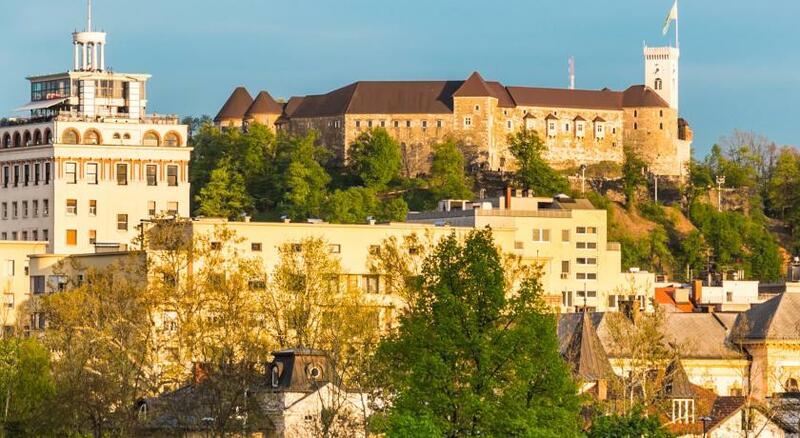 Ljubljana Castle is 0.6 mi away, while the Ljubljana Cathedral is at a distance of 1,650 feet. 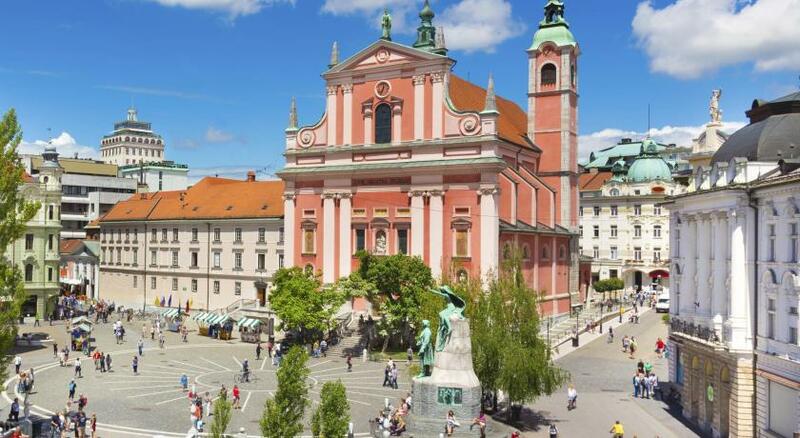 Cankarjev dom can be reached in 2953 feet, while Ljubljana Fair is 0.6 mi away. 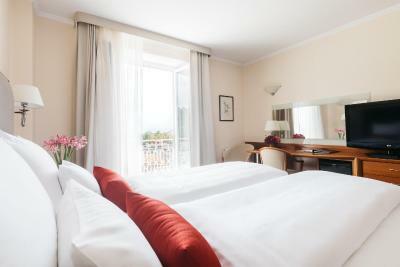 When would you like to stay at Grand Hotel Union? 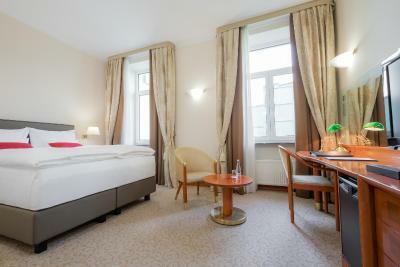 This tastefully decorated and spacious air-conditioned room includes a flat-screen cable TV, a mini-bar and a safe. A private bathroom comes with a bathtub, free toiletries and a hairdryer. 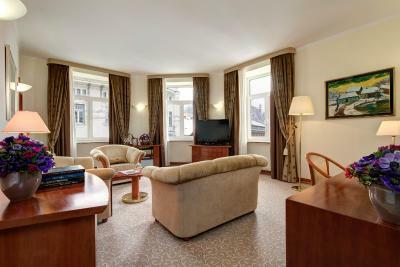 This air-conditioned apartment is decorated in neutral tones and includes a flat-screen cable TV, a mini-bar and a safe. A kitchen comes with an oven, a stovetop and a fridge, as well as a separate dining area. A private bathroom features a bathtub, free toiletries and a hairdryer. 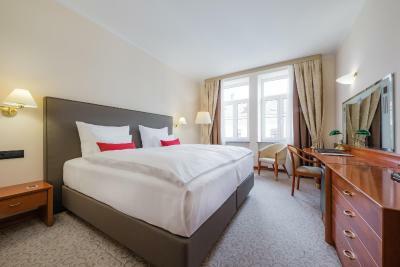 This spacious and tastefully decorated air-conditioned suite offers views of the town and includes a living room with a seating area, a flat-screen cable TV, a mini-bar and a safe. 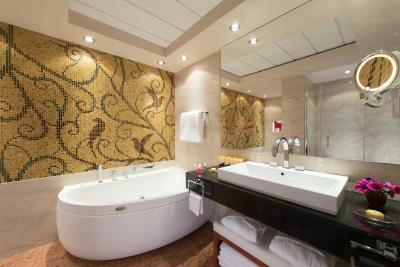 A private bathroom features a wall mosaic and includes a spa bath, free toiletries and a hairdryer. An additional toilet is also provided. This tastefully decorated air-conditioned suite includes a living room with a seating area, a flat-screen cable TV, a mini-bar and a safe. 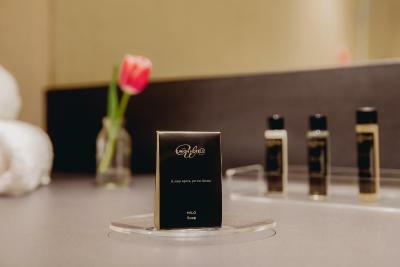 A private bathroom includes a bathtub, free toiletries and a hairdryer. 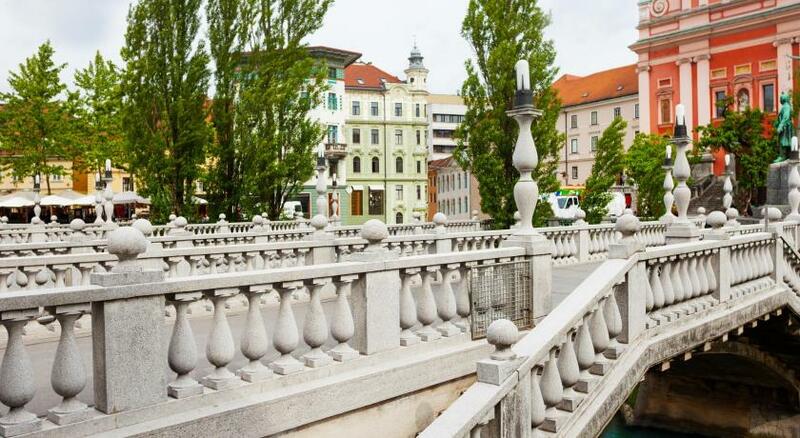 This tastefully decorated air-conditioned room with a balcony offers views of the Ljubljana Castle and includes a flat-screen cable TV, a mini-bar and a safe, as well as a working area. A private bathroom includes a shower, free toiletries and a hairdryer. 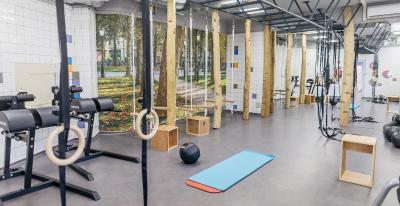 • Use of the indoor swimming pool, fitness area and sauna. 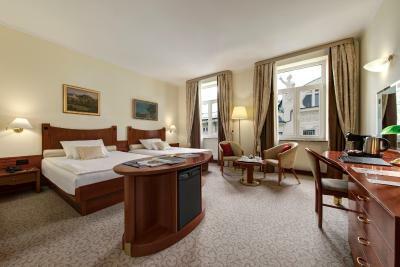 This tastefully decorated and air-conditioned room includes a flat-screen TV with international channels, a mini-bar and a safe. 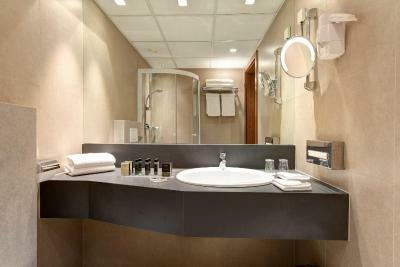 A private bathroom includes a bath, free toiletries and a hairdryer. 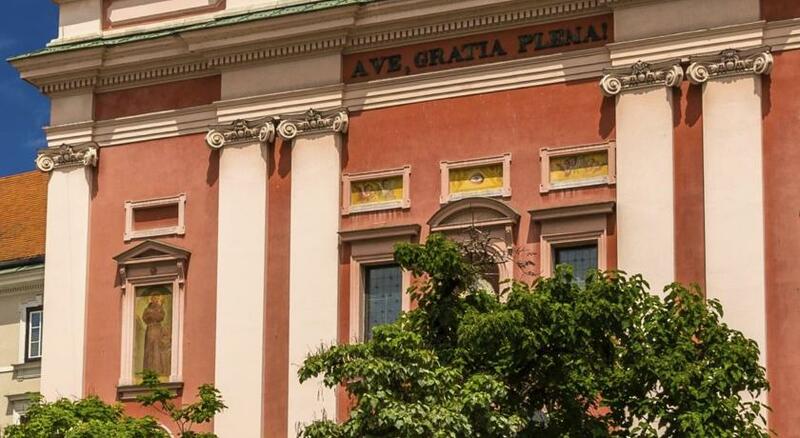 This hotel, built in Art Nouveau style, offers an exclusive location in the city centre for more than a century. 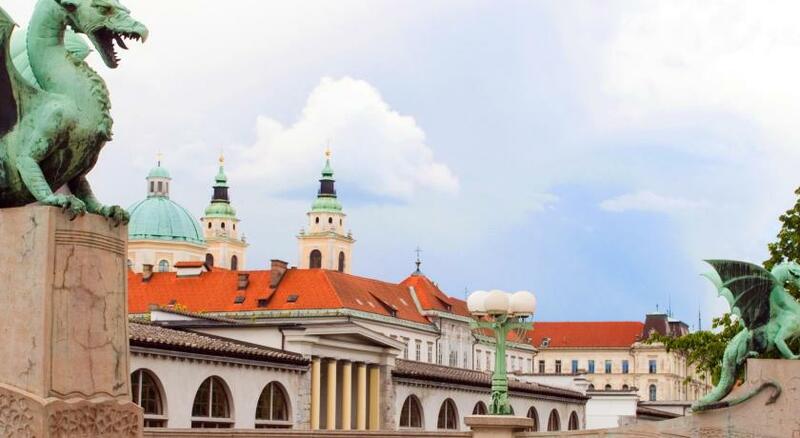 In its rich history the hotel witnessed many important events and hosted many famous people – actor and director Orson Welles, the American president Bill Clinton , the spiritual leader of Tibet Dalai Lama and the British Queen Elizabeth II. A century of tradition combined with fresh ingredients in the hands of an award-winning team of chefs guarantee a unique gourmet experience. You are welcome in our renovated Grand Union Café or the lobby bar to try excellent coffee, a variety of snacks and premium wines from our new wine library. 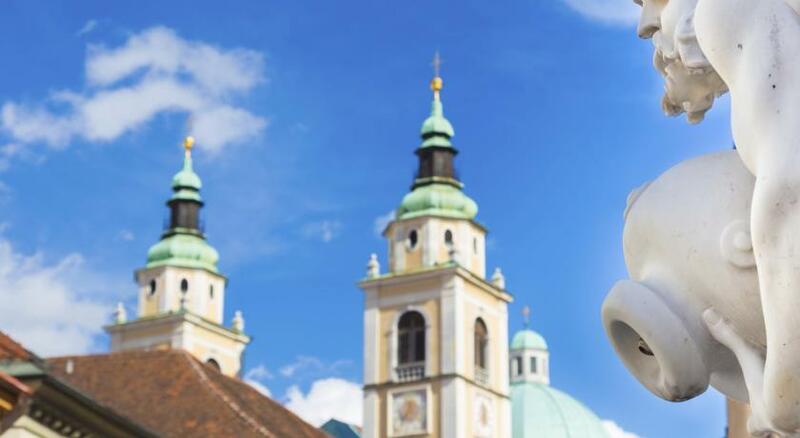 Spoil your taste buds in the Smrekarjev hram fine dining restaurant, where international cuisine is spiced up with a Slovene touch. The Union Garden Restaurant is set under branches of chestnut trees that provide a unique setting to enjoy delicious lunches or dinners. 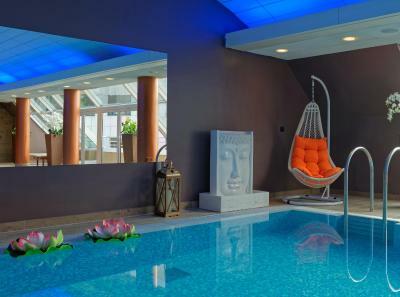 After a day of activities, relax and visit our Oxalis Wellness on the 8th floor of Grand Hotel Union Business. 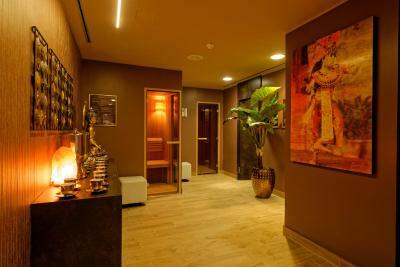 Go for a swim, book a massage or unwind your tired muscles in one of the saunas. 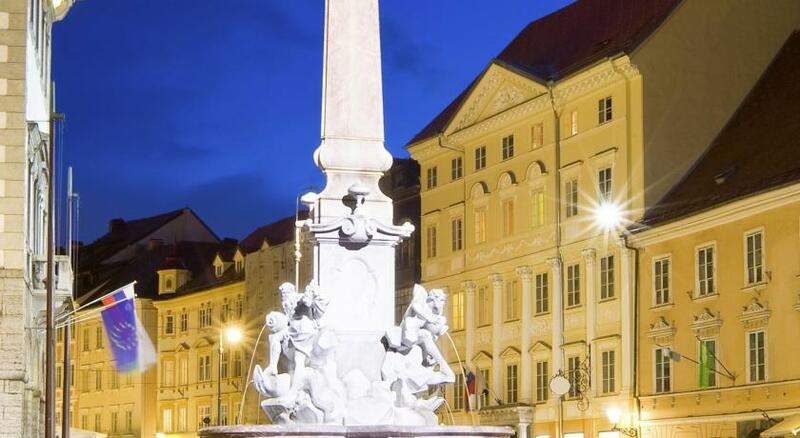 Whatever you do, make your stay in Ljubljana unforgettable with Grand Hotel. 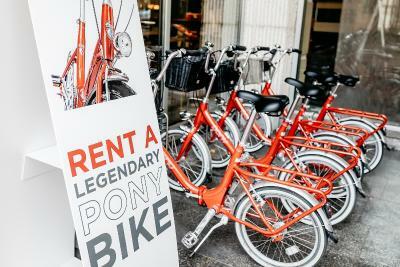 House Rules Grand Hotel Union takes special requests – add in the next step! Grand Hotel Union accepts these cards and reserves the right to temporarily hold an amount prior to arrival. Please note that for bookings for more than 10 rooms or 15 people for the same period, a different deposit and cancellation policy may apply. The magnificent style and atmosphere Café was never open when we wanted to drink a coffee, and when it was open (after 5 pm), we never wanted to drink a coffee - so we didn't finally meet. A pity. 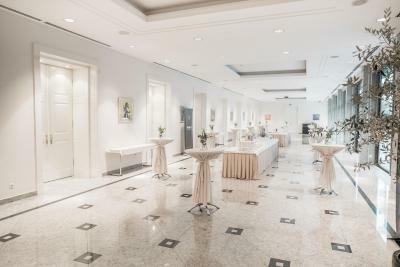 There is a new and an old part of this hotel, last time I booked the new for a conference, this time the old for leasure. Liked both. Old doesn't mean old-fashioned or worn out. Central location is unbeatable, access & parking is easy, staff is kind and helpful, breakfast is five star. Got a free upgrade to the presidential suite - the one (most probably) used by the Dalai Lama when he was here. My daughter tried the in-house hairdresser and had good experience. Besides this the interior needs updating, the carpets are very worn, the colours are very dark throughout. The breakfast room dark and stale with sombre , dull hotel music. Also slightly noisy from traffic and church bells outside. There was a noise problem in the courtyard when we were there, otherwise those rooms might be more quiet. The location is great. It is a pretty old hotel in a great location, right in the old centre. 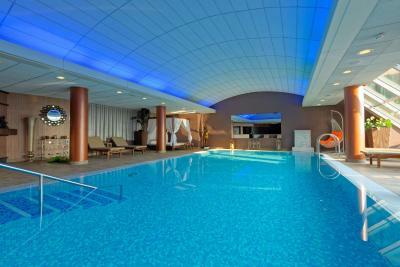 We really enjoyed the heated, indoor, rooftop swimming pool and sauna and the staff were very friendly. Besides this the interior needs updating, the carpets are very worn, the colours are very dark throughout. The breakfast room dark and stale with sombre , dull hotel music. Also slightly noisy from traffic and church bells outside. There was a noise problem in the courtyard when we were there, otherwise those rooms might be more quiet. 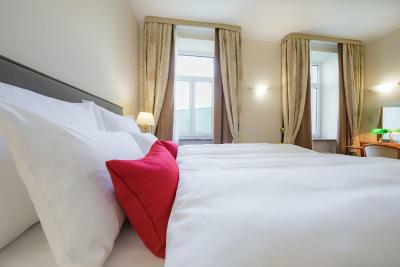 Location, service, clean rooms, bar and brekfast. Everything! Location, room, pool, breakfast were excellent!